So, you are "in contract" on the home you are either buying or selling, what's next? Usually, it's the home inspection. It is strongly recommended that buyers make their offer contingent on a professional home inspection. The time-frame to complete the inspection is negotiable, but it is typically done within 5 to 10 business days from acceptance of the offer. The inspector is usually chosen by the buyer and paid for by the buyer at the time of service, NOT at closing. When choosing a home inspector, ask for recommendations from your real estate agent and make sure to work with an NACHI or ASHI Certified Inspector (ACI). These professionals have demonstrated technical proficiency and report-writing skills, and are committed to continuing education in order to achieve and maintain their accredited status. A professional home inspection usually takes between 2 to 4 hours. It is not required that the buyers or sellers be present during that time. However, the buyer may want to show up during the last 30 minutes of the inspection to walk through the inspector's findings. If you are a buyer and can’t walk through with the inspector, don’t worry. 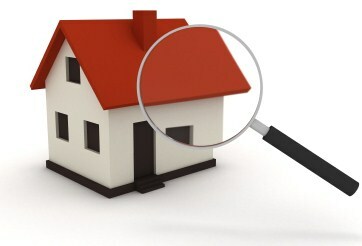 Most inspectors will provide you with a thorough report of their findings, including pictures of items needing repair. Additionally, the inspector will usually invite you to contact them directly to discuss any questions or concerns on the report. Bank owned and short sale property is typically sold “as is”. If this is the case, you are still encouraged to get an inspection for informational purposes, but the bank or the owner will not likely perform any repairs. Thus, after having the inspection you can either choose to proceed with purchasing the home “as is” or, if allowed by the contract, terminate your agreement to purchase. If the home is not a distressed sale, the inspection results usually lead to further negotiations. The buyer may present the seller with a list of items they wish for the seller to have fixed prior to closing. Or, in some cases, they may request a discount on the price to cover the cost of needed repairs. The seller then has a specific time period to decide how they wish to respond. Based on that response and the terms of the contract, the buyer may choose to remove the inspection contingency and move forward with the purchase or terminate and move on to another property.